Starting with the complete package, the Living Room Sets usually come in 3 pieces including 2 identical piece and one larger piece. This is a fantastic choice to set the overall tone and design of the living room. To match the terrazzo flooring, a 3-piece set could have the colors close to the tones of the terrazzo tiles. For example, if the tiles is dominantly white and grey, the Living Room Set could be a tone between pure white and a dark grey. Because this is a huge set, matching the color with the flooring can surely create a clean and unified theme for the living room. For smaller spaces or for homes with the need for a double-purpose furniture, sleepers and sofabeds surely makes it to the top chairs to pick. Because sleepers and sofabeds are close to living room sets, matching this with the tones of the terrazzo tiles will also be ideal. If a custom cover can be made for sofabed, the cover can have a slight contrast to the flooring to set it apart from the rest of the pieces of furniture once it turns into a bed. These tiny yet functional chairs can add a fantastic deviant piece and texture to the living room. It is best to make the ottoman a bit more edgy and non-monotonous, to make it stand out against the span of the flooring. Rugs may be added beside or under the ottoman to make clearly occupy a certain area of the floor, with designs and colors that can bring out the perfect contrast for the room. One fantastic thing about this piece is that it can also double as a storage. Usually a storage for reading materials or additional puff pillows for the couch, ottomans surely add function and flair to any space. There are more types of chairs to choose from to match the terrazzo tiles. 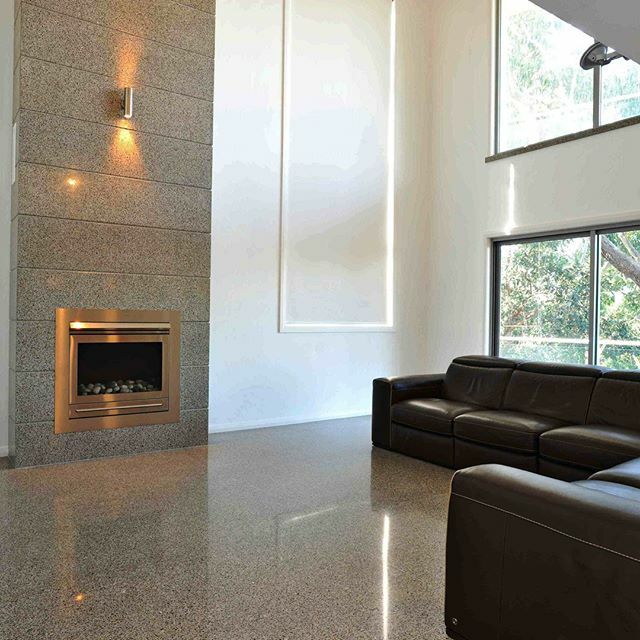 If the chairs are acquired first before the selection of flooring, ask Terrazzo Australian Marble for the best pick of terrazzo flooring to match your furniture pieces in the living room.